Today’s post is a guest post from Marlene. 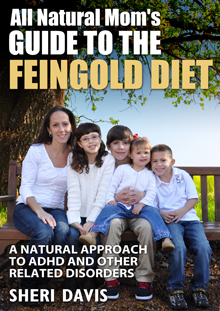 Marlene stumbled upon the Feingold Diet while looking for ways to help her son with his tics. On Facebook, she has been posting 100 days of happiness. Below you will find two of those postings. “My happiness today? I have to go back exactly one year to help you understand. One year ago today I took my son to the Neurologist to talk about some issues he was having. She spent about two hours with us. One hour talking to me by myself while I sobbed uncontrollably and one hour talking to Ben while I secretly sobbed and looked like a lunatic trying to look brave and aware of the world around me. One year ago today she confirmed what I went in already knowing. Ben would eventually be diagnosed with Tourette Syndrome. Ben has always been a good boy and a great listener. I never baby proofed my house because he didn’t get into things. I trusted him and knew what to expect from him. For a few months prior to the appointment I noticed he was harder to handle. He had to be told everything 2 or 3 times. He was always arguing, crying easily, making less eye contact, often looked like he was in another world. He was ALWAYS smelling his fingers. Anytime he touched something he would smell his fingers. What really brought things to my attention was when he started clearing his throat constantly. I knew it was a tic because I have the same one. I felt sad for him that he would have to deal with this throat clearing business (ahhh…ignorant bliss). I took him to the Pediatrician and she said it was allergies. I took the Rx she gave me and threw it away. I knew it wasn’t. One day I realized he wasn’t passing gas at all…just saying it. I started snapping at him, “Stop saying that! Stop smelling your fingers! It’s disgusting! STOP IT! Give me the Ipad if you can’t stop talking about toots!””I’m sorry Mommy. I’ll try. (in a whisper) Scuse me I burped”. I started peeking around online at “tics”. Everything I saw led me to Tourette Syndrome. I realized the finger smelling, throat clearing and repetitive phrase were tics. I also saw some listed he had that I didn’t even register as a problem. After hours online reading about everything and watching gut wrenching documentaries I was a mess! I learned that when it comes to Tourette’s the tics are not the main issue. It’s everything that comes with it….OCD, ADHD, impulse control issues, and so on. I had seen things from all of these categories in my son. I called the Pediatrician back hysterically crying… as was my mode of operation at that time. She told me to see a Neurologist. She gave me the number and said that they might be able to fit me in for an appointment in the next few weeks. The next few weeks???? You have no idea who I am! So….skip to the next day….the worst day of my life so far….one year ago today we are in the waiting room of the Neurologist’s office waiting to be seen. She spent a lot of time with us and answered all of my questions. She told me that there was only one thing that she was sure of with our situation and that was that I needed to start seeing a therapist IMMEDIATELY. I told her I had read somewhere that diet can help with some of these issues and asked her opinion. She didn’t agree but said a better diet couldn’t hurt. She told me that she didn’t want to prescribe medication until the tics were interrupting his life or causing him pain from jerking about. Usually she prescribed Haldol.I’m sorry what???? We left and went down the street to a fast food place called Culver’s and had dinner. He loved to go up to the counter by himself and order the dessert. He had done this 100 times before. That day I wouldn’t let him. HE HAS TOURETTE SYNDROME! HE CAN’T DO IT! THEY WILL SEE! WHAT IF HE IS CONFUSED? DID THE DR. MENTION SEIZURES? WHY IS THIS HAPPENING???? We drove home. I cried to a soundtrack of “Excuse me I tooted, excuse me I burped”. The only way I can explain the way I felt when Ben was having tics is to say that it felt as if pieces of my soul were flying out of my body. We got home and I just needed the terrible day to end. I told Ben to skip a shower and just put his jammies on and brush his teeth. “Okay, Mommy….scuse me I tooted.”, he replied. I went to my room down the hall and as I was bending down to plug my phone in I heard the most blood curdling scream I have ever encountered. Within 1 second I was in full sob mode running to my son. He was standing in the bathroom looking terrified screaming, “HELP ME MOMMY, HELP ME MOMMY, HELP ME MOMMY! He had zipped some very delicate skin (the guys know what I’m talkin about) into his jammies. I fell to the ground in front of him as he was screaming at the top of his lungs for his mommy to help him. All of a sudden the screaming got much louder and it took me a moment to realize it was because I was screaming as well. I unzipped the jammies and freed him as he fell into my arms. We were both sobbing as I started pushing buttons on my phone. I called the last person I texted and said, “Hi…can you come here RIGHT NOW? Yes or no? I was going to dial numbers until someone…anyone showed up. I have to do this…I’m his mommy! And I decided right then that I was going to give myself a few weeks to have a nervous breakdown and then I was going to ROCK THE SH– out of whatever was coming down our path. Today I am happy that the horrible day is behind me and for all of the wonderful friends who showed up and helped me through the hardest time of my life. It took weeks until I was able to be alone with Ben again. Friends came when I called. They invited themselves over. They just showed up. Called everyday. Did research for me. Pulled their kids out of school to play with my son, and listened. I also want to mention….I think that was the last time he had Culver’s or wore zip up jammies.Okay…going back a year again. Today was a huge day in our lives but I didn’t know it at the time. In the short time leading up to seeing the Neurologist lots of investigating was going on. I had many people offering ideas of how to help Ben. The suggestions ranged from medication, therapies, brain surgery, and diet change. BRAIN SURGERY?????? I’ll go ahead and start with diet change I guess. My friend Nan had sent me a link to The Feingold Program. I looked it over and found that it’s a program targeted for ADHD. I knew I was already dealing with some things of that nature so I investigated the program site some more. I saw that it mentioned some kids also found help with their tics from this program. The program seemed LITERALLY too good to be true. I looked around for the list of food that was so magical…..Oh…I see now….here is the catch! You have to pay for their magical information. WHATEVER…I didn’t care! I would have bought anything at that moment! I was desperate! What’s that you say…fairy dust unicorn enemas are going to help my son? Fine! Where would I find those? Amazon? Good! Add it to my cart! So I buy the Feingold magic beans and wait for the information to come in the mail. I got it a few days before I went to the Neurologist but didn’t start it because I wanted her to see him as he was. We see the Dr, she poo poos my diet idea, we eat Culver’s, Ben zips his junk, scuse me I tooted, friend comes over, nervous breakdown, go to sleep….Feingold program. We started the program and I saw all ADHD behaviors, OCD behaviors, impulsive issues, and the fog he seemed to be in disappear in the first week. Also and I wasn’t expecting this….his tics had gone down by 75 percent! That made no sense to me because fruit is good for you but I decided to try the program for the 8 weeks like they suggest. Feingold is an elimination diet so once we were at a baseline we would be able to add missing fruit and veggies back one at a time. So, here we are one year later and Ben is doing really, really well. (actually he is throwing himself around right now avoiding homework but I digress).Here are a list of issues that have been taken away since starting the program. I was never a believer in eat this for health…take out this in your diet to help with so and so. I thought gluten was a made up thing and really didn’t care. I do not like to cook. I love fast food. I loved scented candles, lotions, laundry. Now…I have to cook. Almost everything in our house is fragrance free. I need to plan ahead because running through the drive thru is not an option anymore. I have a bumper sticker that says, “Food, if they dye it don’t buy it”. It has been hard but also the best thing that I have ever done in my life. There have been a few bumps in our path. A few days ago I gave Ben the wrong granola bar and he was slurring his words, falling through the house, couldn’t do his basic math homework and a day of “scuse me I tooted”. I follow the diet when I am with Ben but you will often find me at the drive thru, just me and my bumper sticker. I know I need to start doing a better job for myself but there are still Oreos to be had. Helicopter mom to Ben. I live in Illinois and dream of one day having every room in my house clean at the same time. Thanks for sharing Marlene! 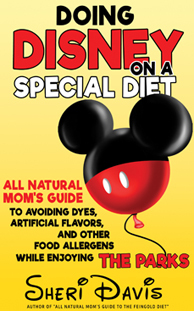 I’ll be posting our family’s experience with tics and the Feingold Diet soon. 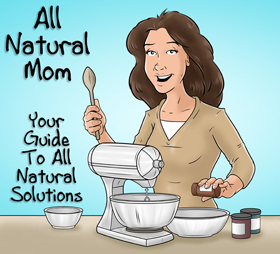 For more info on the Feingold Diet check out my new book, “All Natural Mom’s Guide to the Feingold Diet” available now on Amazon in print or e-book version! 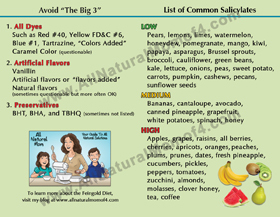 Posted in Feingold Diet and tagged Feingold, Feingold Diet, Feingold Diet Info, salicylates, tics, Tourette's. This story was exactly what I needed to read! It was soul soothing for all we are going through- thank you!!! Is there a way I could contact Marlene? I would love to pass on my gratitude and ask some follow up questions! Thanks!